Archaeologists found evidence of the potato in Peru, dated more than 8,000 years ago. Adán always gives a little history with his recipes. Papas Con Rajas, Poblano Potatoes, are creamy because of the waxy potatoes and lush because, well, roasted chiles Poblanos are always lush. This recipe, brings together the traditions of Peru and Mexico, potatoes being native to Peru and the Poblano chile native to Mexico. Chilca, Perú is the site of early archaeological evidence of potatoes dating back 8,000 years. 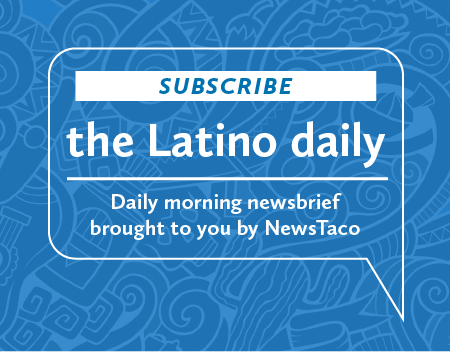 Early archaeological evidence of the potato is found in excavations near the town of Chilca, just south of Lima, Peru and dated more than 8,000 years ago. Amazingly, there are over 2,300 varieties of potatoes in Peru. It’s an important culinary ingredient of the Incas who used elaborate preparation techniques that included alternatively pressing, drying and then freezing. Roasting the Poblano chiles to make rajas, strips, adds aroma and sizzle to this dish. I think you’ll find this chile/potato combination so delicious that it’ll become a staple in your kitchen. Just make sure that you use a waxy potato and not a flaky or russet type. 4 small waxy potatoes, peeled and cut into 1/2-inch cubes (about 2-1/2 cups). I like Yukon gold, but you can use any other waxy type. Keep away from russet because it’ll just fall apart. 1. Place the chiles under a broiler, turning them so that they are entirely charred and the skin blisters. Place them in a paper bag, close tightly, and let them sweat for 15 minutes so that the skin will peel off easily. Poblano Chiles roasting in the oven. 2. Place each chile on a cutting board and peel off the skin with your fingers. You can use a dull knife if you need to gently scrape off some of the skin, but this should not be necessary if the chiles are well charred. 3. On the cutting board, cut a slit lengthwise in each chile. Open the chile and lay it flat, inside flesh facing up. Remove the stem and the cluster of seeds attached to it. Remove the remaining seeds by sliding them away gently with your finger or a butter knife. 4. Cut the chiles into strips, 1/4–1/2 inch wide and 2 inches long. Set aside. 5. Peel the potatoes and cut into 1/2-inch cubes. 6. Fill a large pot with water and bring it to a boil, and then add the potato cubes and cook for 5 minutes. By that time they should be partially cooked. Take a cube out and test it, cutting into it to ensure that it is still somewhat firm in the center. If it is too hard, let it cook for another minute. Drain in a colander. 7. In a 12-inch skillet, preferably nonstick, heat the oil over medium heat. Add the onions and cook for about 3 minutes until they begin to turn translucent. Add the potatoes and let them heat through and acquire some golden color, about another 3 minutes. Then add the rajas and cook for an additional 2 minutes until heated through. 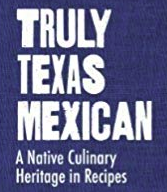 Note: Recipe adapted from the history/cookbook: “Truly Texas Mexican: A Native Culinary Heritage In Recipes” published by Texas Tech University Press. NOTE: If you found my article helpful, I invite you to follow me on Twitter and Facebook, or subscribe below for updates (I’ll email you new essays when I publish them).